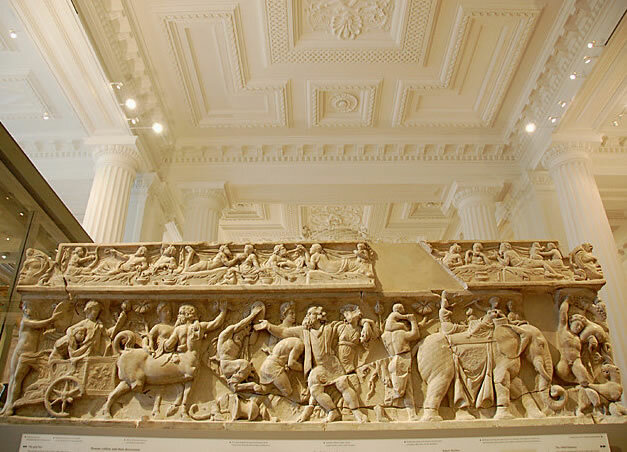 Yesterday Cambridge University’s Fitzwilliam Museum reopened its Greek and Roman gallery after a year and a half of renovations. One of its most prized items on display is an unspeakable cool folding multi-tool device that puts a Swiss Army knife to shame. The tool features a knife, a spoon, a three-tined fork, a spike, a spatula, and a small pick. The spike may have been used as an escargot extraction device (snails were a very popular food in ancient Rome), and the pick may have been a toothpick. Archaeologists think the spatula may have helped pull sauce out of narrow-necked bottles. It was made out of silver sometime between 200 A.D. and 300 A.D. Roman folding knives are not uncommon, but most of them are made out of bronze and have fewer parts. This is the ultra-deluxe version, and so probably belonged to a wealthy person who traveled a lot, like a merchant. There are many other one of a kind items in the Fitzwilliam Museum’s Greek and Roman collection. It’s widely considered one of the best small museums in the country, and the building itself is a gem of elaborate Neo-Classical architecture. It has been fully restored preserving its historical features, but also adding extensive modernizations like a whole new lighting system that brings the many carvings and reliefs to new life. Along with the gallery, the collection has been meticulously conserved, so there are pieces on display now that have never been seen before. For a fascinating glimpse into the renovation process, see this Project Progress blog written by the museum curators and staff. Sadly they seemed to have stopped making new entries in August of last year, but there are still some great pictures and descriptions of how it all went down. 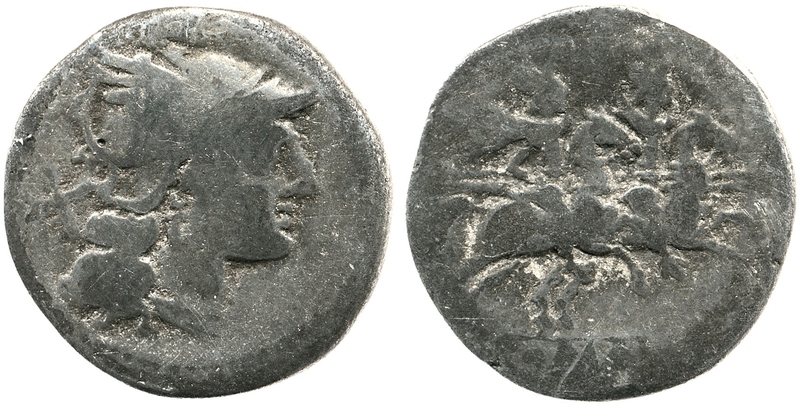 The silver denarius was found by a metal detectorist ten years ago in Hallaton, Leicestershire, but it was just one of 5,000 coins in a hoard that included a rare Roman cavalry parade helmet, a decorated silver bowl and the remains of over 300 pigs probably consumed during a ritual feast, so it has taken a decade to date it. The Leicestershire County Council bought the Hallaton hoard and created a special gallery for it at the Harborough Museum in Market Harborough. The coins have been in storage since they were brought to the museum while museum researchers carefully dated and catalogued them. The somewhat worn silver coin dates to 211 B.C., that’s 4 years older than the previous record-holder. The Hallaton Treasure is the greatest number of Iron Age coins ever found in Britain. Archaeologists think the site was a shrine built by the Corieltavi tribe, but they don’t know how such an ancient coin came to be in their possession. Most of the 5,000 coins date to the mid first century A.D., around the time of the Roman invasion. Some archaeologists have however speculated that such Roman Republican coins found their way into Britain before the Roman conquest in 43 AD and were evidence of exchange through trade or diplomacy. Professor David Mattingly of the University of Leicester’s School of Archaeology and Ancient History said: “This hoard has changed our view of just how significant the East Midlands were in this period and this coin is a good example. The silver denarius would have been a day’s wages for a soldier or an unskilled worker. It features a helmeted goddess — possibly Roma — on one side, and the twins Castor and Pollux riding galloping horses on the other. The wear suggests it passed through a great many hands in its long lifetime before it went to ground in the 1st c. A.D. The coin has a place of honor in the Hallaton Hoard display at the Harborough Museum, and is scheduled to go on tour within the UK this year. Elizabethan audiences at The Globe and The Rose theaters gnoshed on oysters, mussels, hazelnuts, walnuts, pies and dried fruit while attending plays by the likes of Shakepeare and Marlowe. The evidence has emerged from the most detailed study ever carried out on a Tudor or early Stuart playhouse. 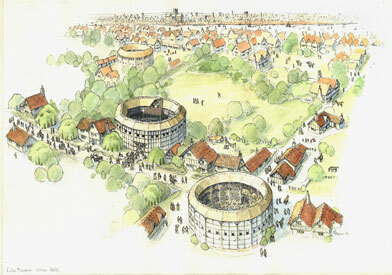 Archaeologists have been analysing the thousands of seeds, pips, stones, nutshell fragments, shellfish remains and fish and animal bones found on the site of the Rose Playhouse on London’s South Bank. 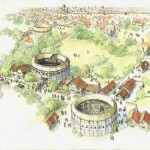 Museum of London Archaeology has just published the findings in The Rose and The Globe: Playhouses of Shakespeare’s Bankside, written by archaeologists Julian Bowsher and Pat Miller. Bowsher and Miller found that there was an identifiable class component to what audiences ate. The standing crowd in the open area in front of the stage — felicitously referred to as “groundlings” or “stinkards” — mainly stuck with shellfish and nuts. In fact, the huge quantities of discarded hazelnut shells doubled as a kind of sawdust layer on the floor to absorb the many grossnesses of weather and population density. Oysters remained a staple in the diet of London’s poor well into the Victorian period, Bowsher notes. Large quantities of oyster shells have been found in pretty much every excavation she’s done at the Museum of London Archaeology. The covered gallery seats where the monied theater-goers gatheredl, on the other hand, show evidence of a more rarefied diet of crab, sturgeon and imported dried fruit like raisins, fig and peaches. There are also remnants of New World contributions to Elizabethan culture, like pumpkin seeds and tobacco leavings. Sir Walter Raleigh had only introduced Virginia tobacco to England in 1578, but audiences at The Globe and The Rose seem to have been smoking pipes just 10 years later. We know tobacco was being grown on the banks of Thames already, but we don’t actually know that it was Virginia tobacco, though. It could have been Latin American tobacco via Spain’s colonies which was introduced to Europeans right after Columbus sailed the ocean blue. 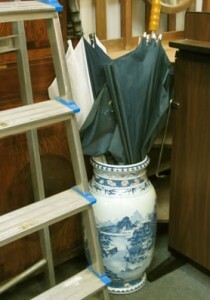 An elderly couple in Dorset, UK, found much to their astonishment that the umbrella stand they put in a junk room because they thought it was ugly was an Chinese imperial vase made for the Emperor Qianlong in 1740. Its estimated auction value is £500,000 ($807,000), which is more than their house and everything in it is worth. The couple, who prefers to remain anonymous, received it as a gift 50 years ago. They had no idea that it was a rare and valuable item. Over the years it’s seen some harsh treatment. There’s a noticeable crack in it and some paint stains. In perfect condition it might have been worth twice as much. “Successful firing of underglaze blue and red on one object required the highest level of technical mastery. “Different firing conditions are necessary and it is a process fraught with difficulties. “For this reason it is a combination of colours usually reserved only for the finest imperial wares. 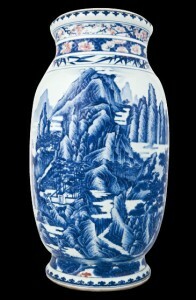 “The quality of the painting on the vase is of the highest order. “Stylistically it is reminiscent of the work of Wang Hui, who produced a series of 12 monumental scrolls depicting the Kangxi Emperor’s Southern Inspection Tour of 1689. “The form of the vase is that of a Chinese lantern, a style characteristic of wares from the reign of Yongzheng and the early part of the reign of Qianlong. “This vase balances elegance of form, outstanding decoration and technical prowess, which are all characteristics of the great period of innovation in porcelain manufacture under the legendary kiln supervisor, Tang Ying. There’s also some vague Florence Nightingale connection that none of the articles elucidate. Duke’s wesbsite cites Florence Nightingale’s home Embley Park as the original UK source of the vase. 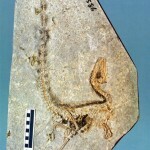 A study performed on Chinese fossils has established for the first time the color of a dinosaur. 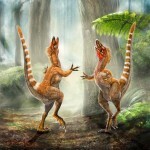 Sinosauropteryx, a fast, dog-sized carnivore, was covered in orange “dino fuzz” with white stripes on his tail. 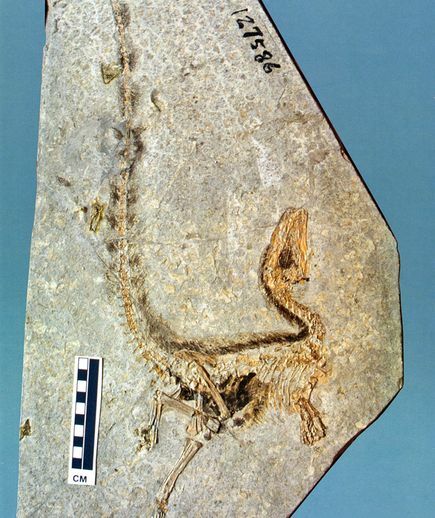 The team identified fossilized melanosomes—pigment-bearing organelles—in the feathers and filament-like structures of fossil birds and dinosaurs from northeastern China. These earlier findings proved it was possible for melanosomes from dinosaur times to survive in fossils. But until now no one had found the pigments in dinosaurs—other than birds, which many paleontologists consider to be dinosaurs. And no one had used melanosome shape and density to infer color. The team used a scanning electron microscope to examine the feathered dinosaur fossils found in Liaoning Province, China. 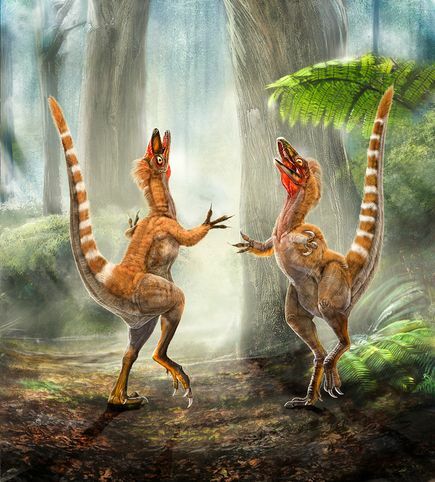 There has been some question as to whether “dinosaur feathers” were actual precursors to feathers as we know them today, or were instead fossilized internal collagen. This study puts the controversy to bed quite conclusively. Under the electron microscope, the filaments are full of melanosomes much like modern feathers are. Since melanosomes contain the pigment melanin (hence the name), feather color can sometimes be deduced based on the type of melanin. The two most common types of melanin found in modern birds are eumelanin, associated with black and grey feathers, and phaeomelanin, found in reddish brown to yellow feathers. Melanosomes of both types were found during the new study, providing “the first empirical evidence for reconstructing the colors and color patterning” in dinosaurs and Chinese fossil birds, Zhang and his colleagues write. That’s not the final word on dinosaur style, though. Some of the most glorious plumage gets its color from diet. Flamingos are pink because of the carotenoid proteins in the plankton they eat, for instance. Still, this opens up a lot of doors to move beyond speculation on the question of dinosaur coloration. It’s not just feathered fossils that can provide information, but other melanin-rich tissues like skin and hair. 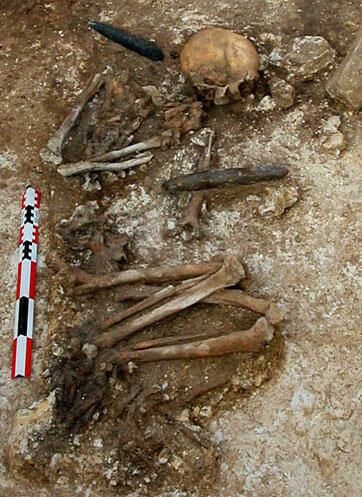 French archaeologists excavating a Neolithic grave south of Paris have found evidence of a successful, infection-free amputation performed 6,900 years ago during the Linearbandkeram period when European hunter-gatherers were just settling down to subsistence farming. Considering that they didn’t even have blades back then, that’s pretty damn impressive. The amputee was elderly, someone of stature in the community, and he lived for at least months, possibly years, after the surgery. The patient was important: his grave was 2m (6.5ft) long — bigger than most — and contained a schist axe, a flint pick and the remains of a young animal, which are evidence of high status. The most intriguing aspect, however, was the absence of forearm and hand bones. A battery of biological, radiological and other tests showed that the humerus bone had been cut above the trochlea indent at the end “in an intentional and successful amputation”. Mrs Buquet-Marcon said that the patient, who is likely to have been a warrior, might have damaged his arm in a fall, animal attack or battle. “I don’t think you could say that those who carried out the operation were doctors in the modern sense that they did only that, but they obviously had medical knowledge,” she said. The surgical tool would have been a sharpened flint. Archaeologists speculate that pain-killing plants would have been used to keep the patient still during the amputation. Antiseptic plants such as sage could have kept the wound from getting infected. Neolithic people are known to have practiced trepanation — the surgical removal of a piece of skull — but that’s a more rudimentary kind of medicine. The earliest evidence of Stone Age trepanation is on 7,000-year-old skulls. They were performed by scraping away the bone with sharpened flint or obsidian stones. Later trepanations were done by primitive drilling tools, also made from sharpened rocks. But it’s a big step from scraping or drilling a few holes in the skull to severing a forearm with its major arteries and nerves without killing the patient. 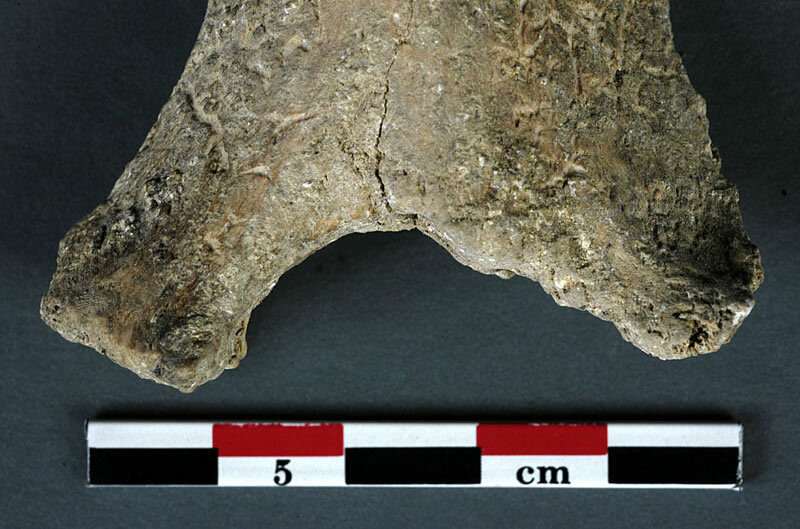 This find suggests Stone Age farmers were significantly more medically advanced than previously realized. 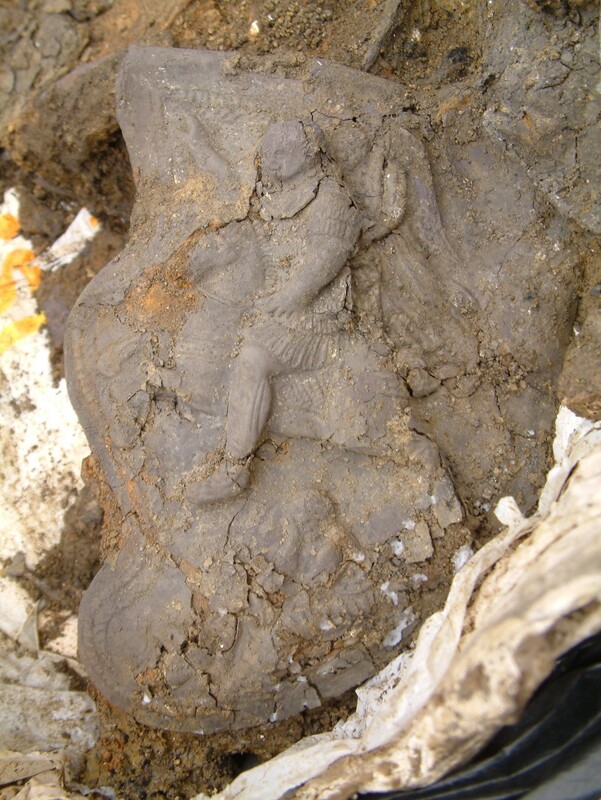 For more information on this find including details of the forensic examination of the remains, see this article in the journal Antiquity. Cyprus police raided a huge antiquities smuggling ring in southern city of Limassol that was set to sell dozen of antiquities worth an estimated $15.5 million. This is the biggest antiquities smuggling bust in Cyprus history. Artifacts include urns, gold figurines and coins, some thought to be as much as 4000 years old. They were found in various homes, backyard sheds and vehicles belonging to the suspects, some in scarily casual arrangements. The Cypriot police were alerted to the ring when one of its alleged members tried to sell some treasure to a man who ended up being an undercover Greek policeman. The Greek police then contacted the Cyprus authorities. Ten Cypriots were arrested during the raids over the weekend, and authorities were searching for another five suspects, including a Syrian man, police spokesman Michalis Katsounotos said. The suspects face charges of illegally possessing and trading in antiquities. 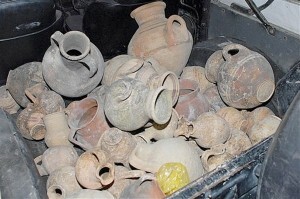 Police said the smugglers had planned to sell the artifacts in Cyprus, but would not identify the buyer. Authorities also said they were investigating where the artifacts had been obtained. Katsounotos said this was Cyprus’ largest antiquities smuggling case in terms of the amount of recovered artifacts, their archaeological value and the number of arrests. Most of the artifacts are urns primarily found around the southern coastal towns of Limassol and Paphos, Hadjicosti said. Some of the coins could date to Hellenistic and Roman times. 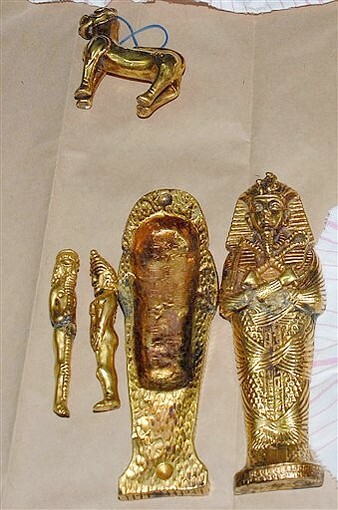 Some of the most valuable artifacts are a miniature gold coffin and gold figurines. These don’t appear to be Cypriot in origin. The wee coffin looks like an Egyptian sarcophagus. 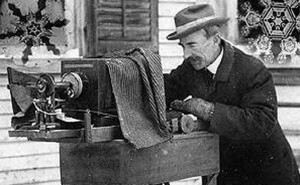 Wilson A. Bentley, a self-taught farmer from Jericho, Vermont, was the first person to capture the beauty of snowflakes on film. 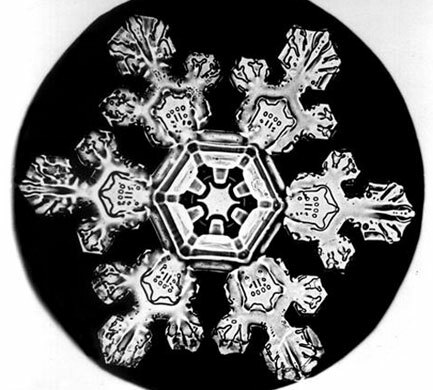 When he was 17, his father bought him a bellows camera and a microscope and he spent two years trying to take the first photomicrograph of a snowflake. He finally succeeded in 1885, when he was 19. That became his life’s passion. He filled 9 journals over 47 years with detailed notes about his photographic tecniques and the weather. He became known in town as “Snowflake Bentley”. The scientific community was slow to accept his work. They were unconvinced that his methods were accurate. They thought it was 19th century photoshop, basically, although eventually he was inducted a Fellow of the American Meteorological Society in 1920. 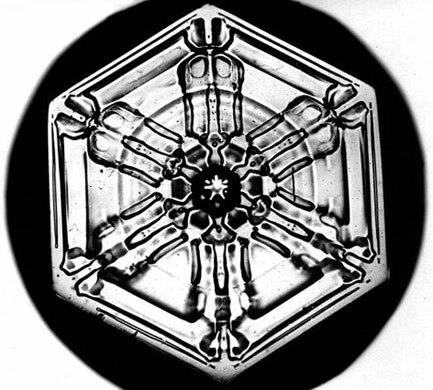 In 1931, he published a book of his snowflake photography called Snow Crystals. He lived to see it in print, but died soon thereafter of pneumonia after walking home through a blizzard. 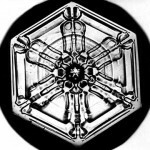 Bentley’s photos don’t meet modern standards because he was “working with crude equipment,” said Kenneth G. Libbrecht, who has written seven books on snowflakes and grows snow crystals in a laboratory. 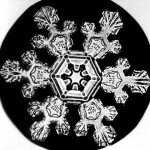 “But he did it so well that hardly anybody bothered to photograph snowflakes for almost 100 years,” said Libbrecht, a physics professor at the California Institute of Technology. When Libbrecht became interested in snowflakes, he said, Bentley was still the standard. The method of singling out a crystal to photograph hasn’t changed in all that time. “You basically let the crystal fall on something, black or dark-colored, and then you have to pick it up with a toothpick or brush and put it on a glass slide,” Libbrecht said. Ten of his snowflake pictures and 16 winterscapes are being sold by the Carl Hammer Gallery at this year’s American Antiques Show. These images are very rarely available for sale. The estimated price is $4800 per picture. His hometown of Jericho has built a museum in his honor. You can virtually tour it on the website: Snowflake Bentley Museum. The Buffalo Museum of Science also has a vast collection of his original glass plates which you can browse online. 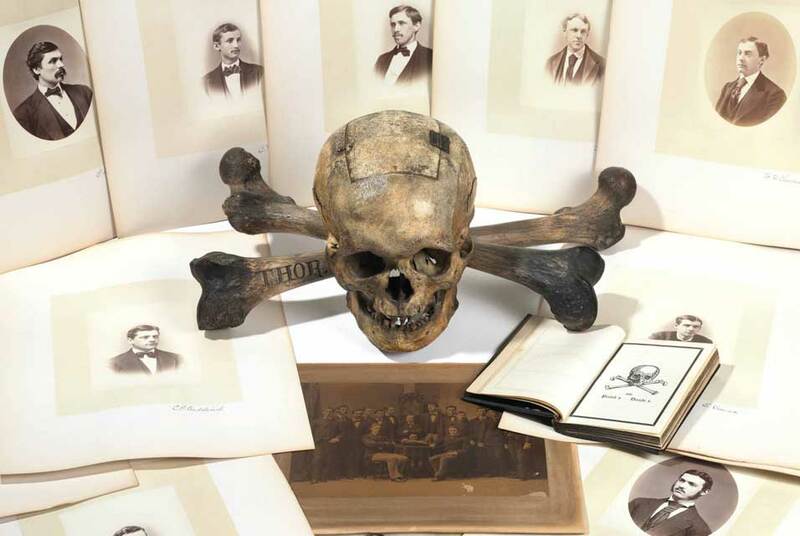 The skull and crossbones ballot box from Yale’s Skull and Bones society was supposed to go on sale at a Christie’s auction yesterday. At the last minute, however, the ballot box and the black book with pictures and names of 50 19th century members were withdrawn from the sale. Christie’s statement said only that another party had claimed title to the lot. We don’t know who that other party is or what the grounds are for the claim. The sale was controversial from the start. The World Archaeological Congress condemned the sale of human remains as inherently disrespectful, and pointing out that if that skull and the two femurs were Native American remains, it’s actually against the law. WAC also requests that US law enforcement investigate this proposed sale. If these remains are found to be Native American, then WAC urges Christie’s to comply with the federal Native American Graves Protection and Repatriation Act and/or applicable state laws. Regardless of the origin of the remains, WAC urges Christie’s to act in accordance with standards of human decency and withdraw these remains from the auction. I don’t know if this appeal had anything to do with the withdrawal of the lot. Christie’s wording indicates someone else claimed to own the items, including the book and pictures. It might just be a cover story to avoid controversy, of course, and they’re not exactly forthcoming with details. 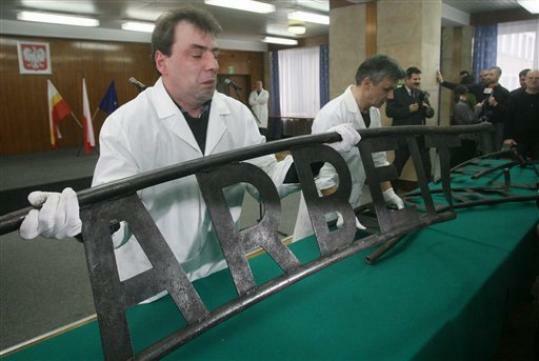 The infamous “Arbeit Macht Frei” sign which was stolen last month from its place over the entrance to Auschwitz has been returned. Polish police handed the sign, broken into three pieces by the thieves, over to Auschwitz museum official in a small ceremony in Krakow on Thursday. It was then transported the 50 miles to the museum where conservation experts examined it carefully. When the sign was first found two days after the theft, Auschwitz officials had hoped to have the sign repaired and back in place by January 27th, the 65th anniversary of the camp’s liberation, but that’s no longer in the cards. There’s a replica over the gate right now, and officials aren’t even sure they’re going to put the original sign back even once it is restored. 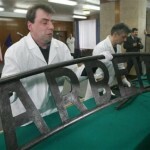 The sign has been examined in recent weeks by police forensic experts for evidence, and the museum’s conservationists will assess the damage and determine how to repair it, Auschwitz spokesman Pawel Sawicki said. “It’s a very long process,” Sawicki said, stressing that the sign would not be returned any time soon to its original spot above the main entrance at Auschwitz — if at all. I wouldn’t blame them at all if they decided to keep it inside the museum and kept the replica outside. Even if weren’t even more of a target of neo-Nazi collector commissions than it was before, the exposure to the elements is probably bad for its long-term health, and Auschwitz already has more than its fair share of upkeep troubles.